The Firefox that you can download now is in the same speed category as its competition; offers many similar features (stronger in some areas and slightly weaker in others); includes broad, cross-platform support for hardware acceleration and other “future Web” tech and standards. The best feature of Firefox is without any doubt its ability to integrate third party addons, making the original software expanding in unimaginable ways. 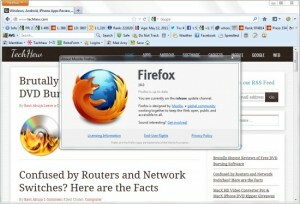 Mozilla Firefox is a fast, full-featured Web browser. Firefox includes pop-up blocking, tab-browsing, integrated Google search, simplified privacy controls, a streamlined browser window that shows you more of the page than any other browser and a number of additional features that work with you to help you get the most out of your time online. The default features of Firefox are good for general web surfing. An abundant collection of freely available extensions (add-ons) allow you to easily add the features you want and customize the browser to fit your needs. 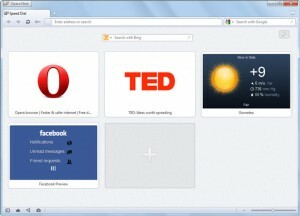 Opera is a fastand secure web browser that also includes a newsreader and mail client. As the second oldest internet browser currently in use and with more than 200 million users worldwide, Opera is a top internet browser in its own right. Opera is a multimodal browser, meaning it contains features that enable multiple modes of interfacing with the browser – think keyboard shortcuts and voice commands. Subsequently, the internet browser is ideal for users with motor or visual impairments. Opera comes with tons of features, including 128bit encryption, enhanced security for your online transactions, advanced download support features, cookie management and many more. Turbo feature makes slow connections even faster. Built-in mail and Bittorrent clients. Syncing of bookmarks, settings, passwords, history, and more. Live tiles on start page. 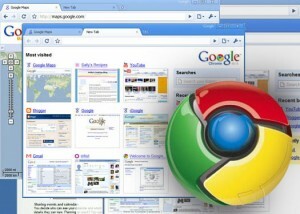 Google Chrome is one of the fastest and most standards-compliant browsers available. It lacks some of the fine-tuning you’ll find in Firefox, but from the minimalist interface to support for future-Web tech like Native Client and HTML5, the browser is a must.